RAM's rubber ball and socket technology allows for almost infinite adjustment meaning you can position your fish finder display at the perfect viewing angle. 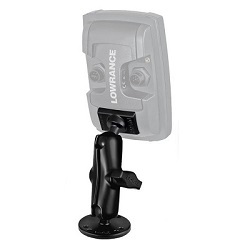 This mount neatly attaches to the back of Lowrance Hook2 4 and 5 series Fish Finders. 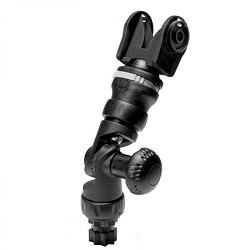 Infinite angle adjustment with Ram Mounts ball and socket technology. This mount neatly plugs into the back of Lowrance Elite and Hook 3 and 4 series fish finders allowing you to install or remove your fish finder in seconds. 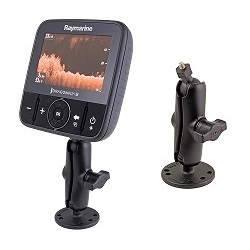 This mount is compatible with Raymarine Dragonfly Fish Finders and WiFish Devices allowing you to install or remove your fish finder in seconds. 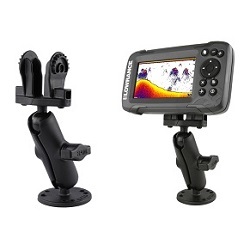 This mount is compatible with most Garmin Fish Finders, including Striker and Striker Plus. Allows you to install or remove your fish finder display in seconds. 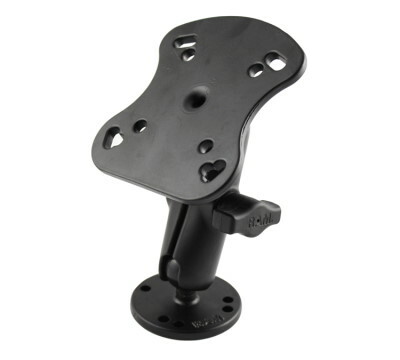 This mount is compatible with Raymarine Humminbird and some Lowrance Fish Finders, allowing you to install or remove your fish finder in seconds. 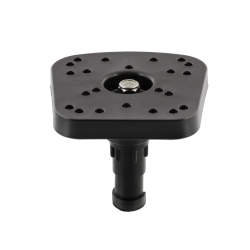 This mount is compatible with Eagle Cuda, FishEasy, PirahnaMax and Lowrance X-4 Finders, allowing you to easily install or remove your fish finder. Accessories that can be used to mount a fish finder and other devices to your kayak using the Railblaza StarPort mounting system. 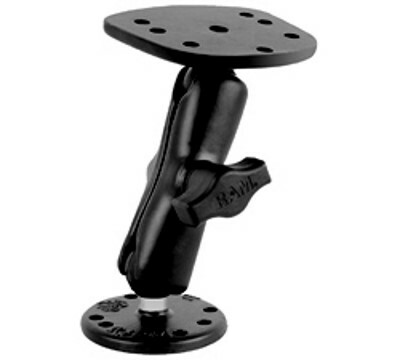 An adjustable mount for the Lowrance Hook-2 4x and 5x fish finders. Featuring R-Lock lockable friction joints for multiple angle adjustment. 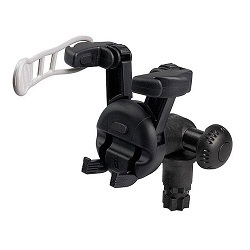 An adjustable fish finder mount compatible with most small and medium sized fish finders. Features R-Lock lockable friction joints. A flat surface mount that plugs straight into a StarPort (sold seperately). Ideal for mounting fish finder units. 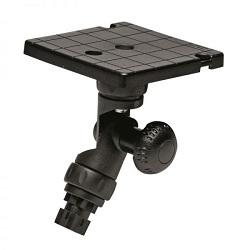 An adjustable device holder great for holding mobile phones, VHF radios, handheld GPS units and more securely to your craft. A 12 volt DC 3 amp socket within a StarPort base allowing for the connection of fish finders, GPS units and other powered devices. 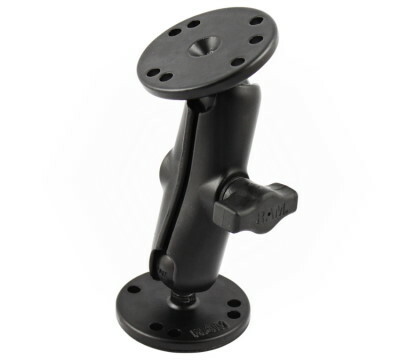 A universal mount for fish finders to make them compatible with the Scotty base mounts. Pre-drilled screw holes on mount. 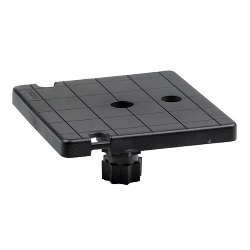 A track mounted battery box that doubles as a mounting platform for a transducer arm and a fish finder display mount.